Our Oceanside Optometric Center is proud to offer quality eye care to neighboring Vista, CA. Located a few minutes from your Vista home, Tri City Eye Care has everything you are looking for in an optometrist. Do you need your yearly eye exam? Is your child having problems in school? Our eye doctor, Dr. Robert Ring, can help! Dr. Ring has been in practice since 1976. Experience will help him solve your eye care issues and determine what treatments or eyewear options are best for you and your family. Once you have completed your comprehensive eye exam and eye disease screening, our staff will help you find eyeglass frames that will make you feel great. With a large selection of designer eyewear, you can find suitable frames for sunglasses, computer glasses or any other type of frames. Alternativly, you may decide to go with contact lenses. Dr. Ring can fit you for contact lenses and help you determine which type is suitable for your lifestyle. Whether you choose gas permeable lenses, soft lenses, daily wear or any of the other options available, your follow up visits will also be done right here, near Vista, CA. In addition to eye exams and corrective lenses, our eye doctor offers management of ocular diseases such as Cataract, Glaucoma and Macular Degeneration. Follow up check-ups should be close to home and our Oceanside office, near Vista, CA will allow you the minimal amounts of stress when dealing with eye diseases. 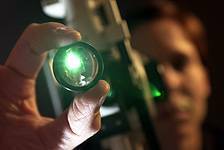 For low vision services, dry eye treatment and Orthokeratology (ortho-k) our practice is the place to be. Using all the latest technology and advancements, we provide the latest services and treatments by experienced eye care professionals. Our eyecare center is conveniently located at 231 Waring Ct, Ste B in Oceanside. For opening hours or more information, click here.